Fortnite Battle Royale players are going to get some big changes soon, including aim assist effectiveness. Epic Games has made some huge gameplay changes in "Fortnite Battle Royale" since its release in September 2017. Some changes have been reverted, while some of them have received positive feedback and are still in the popular video game. The video game creator has revealed a few things that are coming to "Fortnite" with the upcoming update, and one of them is going to drastically affect console players. Making the video game balance is not an easy task. Even though the game developer has done a great job listening to the community and making some necessary changes, some players are still unhappy. The upcoming change has caused some backlash from console players, and the majority of them disagrees with it. Epic Games is going to nerf aim assist with the v7.40 patch, preventing controller users from spamming aim-down-sights button to gain an unfair advantage over their enemies. Epic Games has enabled cross-play functionality for every system "Fortnite Battle Royale" supports. Players can invite their friends who play on other platforms, and console players can join PC lobbies as well. This is a big problem in some cases, such as Pop-Up Cups, but in general, it is a welcome addition that is supported by many players. Thanks to some big changes to the controller customization, console players can now be fair opponents to PC players. However, some PC players believe that the aim assist is too strong and that it should be nerfed. 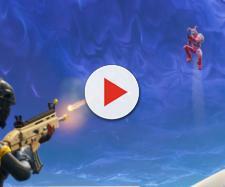 As you can see in the video below, spamming the ADS button allows players to lock onto their enemies in an instant, giving them almost 100 percent accuracy. According to the video, this can be done with any type of gun, including assault rifles, submachine guns, and hand cannons. Additionally, it doesn't matter if a player who's using the ADS spam has a clear look at the enemy. Shots will still go through, and in a lot of cases, they will be headshots. Eric Williamson, Design Lead for "Fortnite Battle Royale," has announced that this will be fixed with the v7.40 update. The v7.40 update will most likely be released on Tuesday, February 5. There is a good chance that Epic Games releases a special event for the Chinese New Year with this patch as well. Data miners have found some interesting information regarding the event, and the Chinese New Year will happen on Tuesday as well. Beside this event, there will be the Earthquake event which will be used to introduce us to season 8.